For the textile industry, double twisters are important equipment for spinning fiber into yarn. The stability and flexibility of the mechanical control largely determines the quality of the yarn that the equipment can produce. However, the level of automation currently employed in twisters is relatively low. Typically, they utilize an industrial computer plus an inverter to monitor the production process. Motion curve trajectory planning is still performed using a traditional mechanical cam, which cannot switch between different curves quickly and flexibly, which limits processing efficiency. To be able to change the motion curve, it takes some time to redesign the mechanical cam. Furthermore, because mechanical cams perform continuous rotation, in addition to the regular maintenance and oil changes, long-term use also causes wear and tear, which affects the yarn quality. Electronic cams, which use software to simulate mechanical cams, can easily have their motion parameters changed using a pre-built cam curve table. Moreover, because there is no mechanical cams hardware, there is no need to replace gears or change oil, and so new technologies such as this have gained the attention of twister manufacturers and the textile industry in general. Advantech's electronic cam solution combines the CODESYS real-time kernel, APAX-5580 controllers, and APAX I/O modules. The solution utilizes a unique dual-core processor optimization mechanism and can assist textiles equipment manufacturers by offering a replacement for mechanical cams. The solution not only seamlessly integrates operational technology (OT) with information technology (IT), but it also provides excellent stability and flexibility to significantly enhance the production efficiency of twisters. Based on nearly 100 years of independent development experience, Qingdao Textile Machinery Co., Ltd. specializes in the design, manufacture, and sale of special equipment and accessories for textile machinery. High-quality products and sales service have repeatedly earned the company recognition as a technology innovation enterprise and the best equipment supplier in China's nonwoven industry. The company’s products have been sold around the world and have an excellent market reputation. Recently, the company was planning to improve the automation level of its high-speed double twister in order to be more flexible in meeting market demands while also improving equipment efficiency and reducing equipment maintenance costs. The company's high-speed double twister uses a controller and inverter motor to control the mechanical cam, which can only provide one type of cam curve. To produce different yarn specifications and allow the cone yarn to adjust the motion curve at different stages of processing, an electronic cam solution needed to be implemented to replace the original mechanical cam. The new solution had to include both software and hardware. 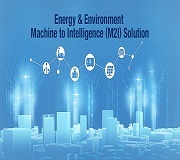 In particular, the software needed to be in line with international standards with regard to industrial control, and the hardware needed to provide a control platform with an optimized architecture in order to ensure stable system operation. Support for the C# programming language was also necessary so that the solution could be seamlessly integrated with the existing human­–machine interface (HMI). The hardware also had to offer multiple I/O interfaces and support various communication protocols to connect various devices. A modular structure was also necessary to provide flexibility for future expansion as application needs change. In addition, because the new high-speed double twister will target both the Chinese market and overseas countries and regions, the solution provider must be able to provide the local after-sales services to quickly solve any problem. 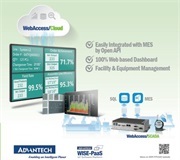 Advantech's electronic cam solution includes the automation control software CODESYS, an APAX-5580 embedded fanless controller, APAX series I/O modules, and iDoor modules. 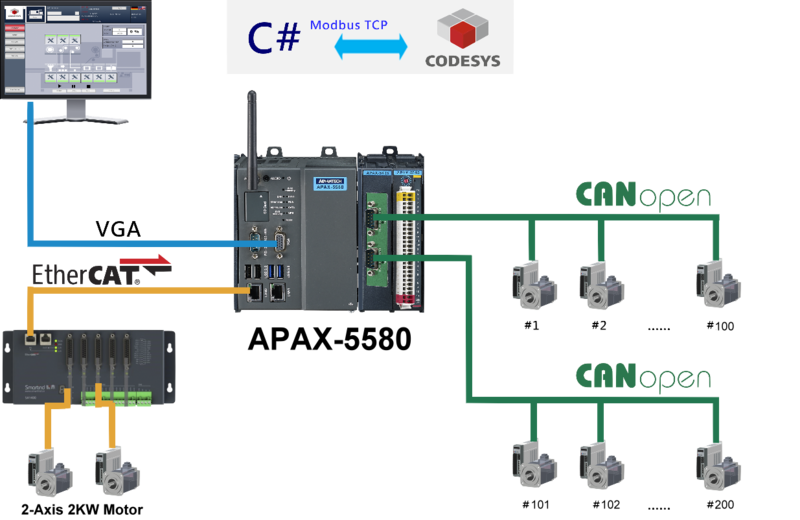 With support for Modbus/TCP, EtherCAT, and CANopen protocols, the customer's existing HMI can be seamlessly connected at the IT level while the two 2-axis servo motors and 192 DC brushless motors can be connected at the OT layer. With Advantech's solution, the high-speed double twister can use an electronic cam to perform yarn twisting and can also be upgraded from inverter motor control to servo motor control. With this upgrade, the equipment capacity was increased from 75 to 120 m/min. The electronic cam function of this solution is mainly achieved by CODESYS, which conforms to the IEC 61131-3 standard. It provides an electronic cam function block for users to program the motion and control of the cam. However, it should be noted that Advantech CODESYS is not the general version of CODESYS. 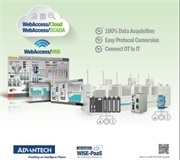 This real-time kernel developed by Advantech and a software vendor is for the programmable automation controller (PAC) with a built-in dual-core processor. The two separate computing cores execute Windows Embedded Standard 7 (WES7) and the CODESYS real-time kernel independently. This ensures a fast scan cycle (up to 50 µs) to ensure the timeliness and stability of the motion control execution core. 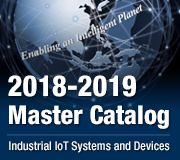 Users can also directly utilize the required features from Advantech's CODESYS rich library, which makes it easier to plan the motion trajectory of the electronic cam. The APAX-5580 is a PAC and has both industrial computer and PLC functions. The x86 architecture hardware platform can integrate the existing HMI because it supports C# while running the optimized Advantech CODESYS real-time kernel. The modular design of the APAX-5580 means that it can connect various devices via APAX and iDoor modules. The multitude of I/O channels (768 digital I/O and 192 analog I/O) gives users sufficient flexibility for expansion so as to meet the various needs of the application field. The solution integrates the APAX-5580 with the APAX-5402-E2A1AE, APAX-5045-AE, APAX-5435-AE, and PCM-26D2CA-AE. It can simultaneously control 192 DC brushless motors via the CAN bus, thus enabling 192 cones to twist yarns at simultaneously. Also, with EtherCAT for connecting the pulse conversion module, it allows the high-speed double twister to utilze a servo motor, which is more responsive. 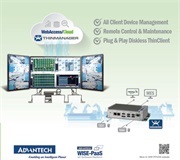 Advantech provides professional technical training to guide users to quickly get started on the system. Online video consulting services offer the most immediate technical support. The service bases throughout the world also ensure that users can receive local services. In the past, mechanical cams were widely used because of the simple processing and low cost. With the growing request for yarn quality and production efficiency, this type of cam has been unable to meet current market needs. Instead, the latest method for twisting yarn is to use an electronic cam. Advantech's electronic cam solution is a cost-effective system. Its great flexibility has allowed Qingdao Textile Machinery to easily carry out technical upgrades for its high-speed double twister. The solution has successfully passed the two-month continuous operation test, with test results demonstrating good stability. Moreover, Advantech's global service bases and localized professional support ensured that the equipment manufacturer would receive comprehensive service, helping it to sell this high-speed double twister with electronic cam technology internationally.